Boil the potatoes until they are half done. Slice into 1/4" rounds. Melt the butter in a cast iron skillet. 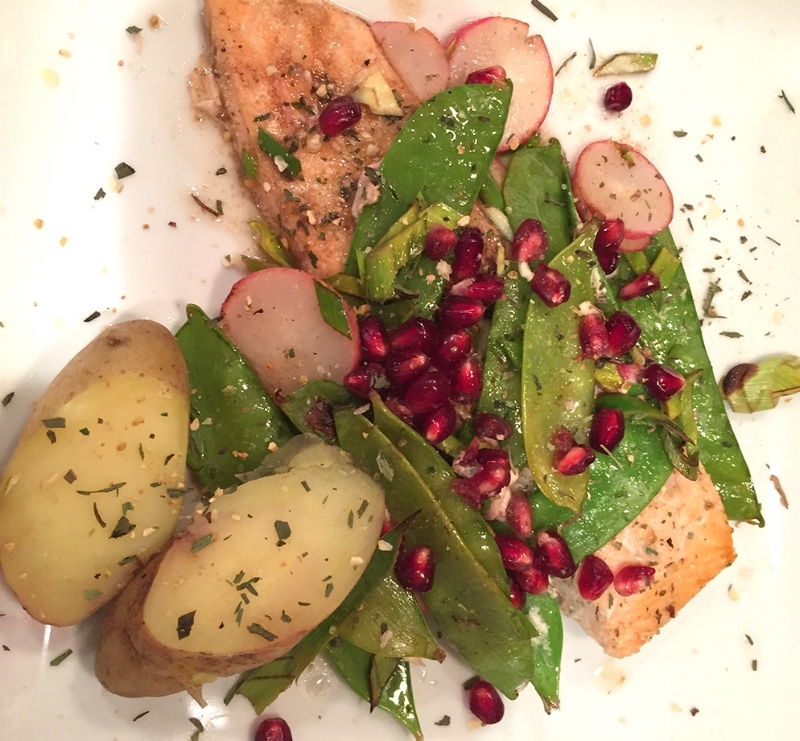 Place the salmon filets, the potatoes and all remaining ingredients, except for the pomegranate seeds, into the iron skillet. Place the skillet on the stove and bring to a simmer for 2 minutes. Place the skillet in the middle of the oven under Broiler. Check after 5 minutes to check for doneness. Broiling should not take more then 10 minutes. If you like your fish medium rare, it should be done in around 7 minutes, depending on the thickness of fish. Remove the skillet from the oven. Add the pomegranate seeds to the top of the salmon and vegetables. Serve.